Sister Lois Silva, a Dominican Sister of San Rafael for sixty-two years, died peacefully on March 19, the feast of St. Joseph, at Our Lady of Lourdes Convent in San Rafael. As news spread that her health was seriously declining, her family, friends, Dominican Sisters and colleagues came to offer their loving farewells to a woman whose relationship they treasured. The gift of friendship was one of many that Sister Lois shared with others during her years of ministry in education, healthcare and social service. Lois was the younger daughter of Louis and Emma Silva and grew up in San Juan Bautista and in Watsonville. She graduated from Moreland Notre Dame parochial school, Santa Catalina School in Monterey, and Dominican College in San Rafael. She entered the convent in 1956. Sister Lois spent the first twenty-eight years of her ministerial life in Catholic elementary school education, as a teacher and as a principal. She was a guiding presence for many children and their families at Sacred Heart School in San Francisco, St. Raphael School in San Rafael, St. John Vianney School in Rancho Cordova, Our Lady of Snows School in Reno, San Joaquin Middle School and St. George School in Stockton. 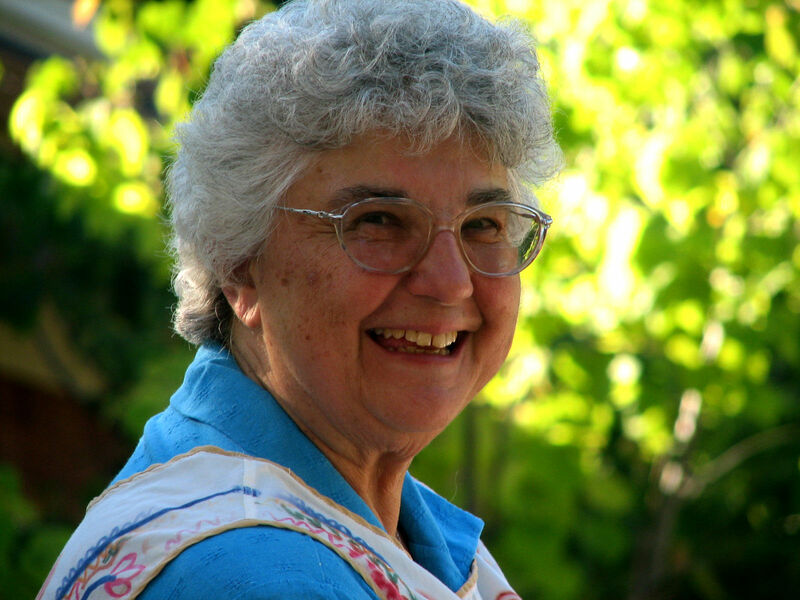 In 2003, Sister Lois was elected to a six-year term on the congregation’s leadership team in San Rafael. Afterwards she moved to St. Rose Convent in San Francisco and volunteered with St. Dominic parish’s ministry to people without homes, Lima Center, and with the congregation’s affordable housing community, Rose Court. When her health needs grew pressing, she returned to San Rafael to live at Our Lady of Lourdes Convent where she was an active and cherished member of the community. Sister Lois was predeceased by her parents, and her sister, Mary Ackerman. She is survived by her nephew and his wife, Stephen and Maria Ackerman, her niece and her husband, Susan and Dennis Devereux, her nephew Kenneth Ackerman, grand nieces and nephews, Erica Ackerman, Brian Ackerman, Danielle Banta, Caroline Fosnot, Gabrielle Steinbach, several great-grand nieces and nephews, and by her Dominican Sisters. The funeral Mass will take place on Tuesday, April 2 at 2:00 pm. in the Gathering Space at Dominican Sisters Center, 1520 Grand Avenue in San Rafael. Sister Lois will be buried on Wednesday, April 3 at 10:00 am in St. Dominic’s Cemetery in Benicia. A memorial Mass will be held in Stockton on Monday, April 8 at 2:00 pm at O’Connor Woods, 3400 Wagner Heights Road. Memorial gifts in honor of Sister Lois may be made to the Retirement Fund, Dominican Sisters of San Rafael, Development Office, 1520 Grand Avenue, San Rafael CA 94901. The world is ending, says the caterpillar!